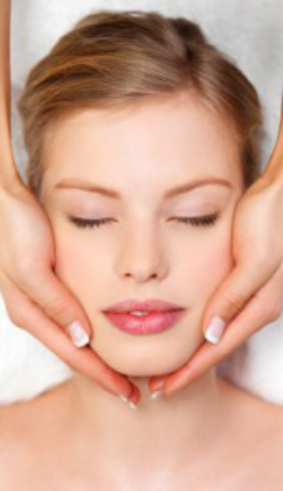 A manual facial to aid the absorbtion of vitamins into the skin, resulting in a balanced more youthful appearance. 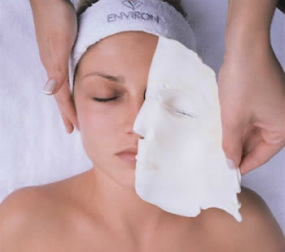 Environ Skin Care is introducing a new approach to professional and home peeling with the ground-breaking Cool Peel, which rejuvenates skin while caring for the epidermis. Unlike more aggressive peels which destroy important skin cells, the new protocol, developed by plastic surgeon and anti-ageing specialist Dr Des Fernandes, helps to stimulate healthy growth, with light, repetitive treatments.This achieves visibly smoother skin with minimal redness and no recovery time. “Celebrities such as Dannii Minogue say no more to Botox, women are following the trend and turning to super-charged facials as alternative to firmer, younger looking skin” DAILY MAIL. Environ offers probably the most effective facial treatment available in the world today, giving results that make the need for surgery a thing of the past! Please note: these pictures used have not been retouched or modified. 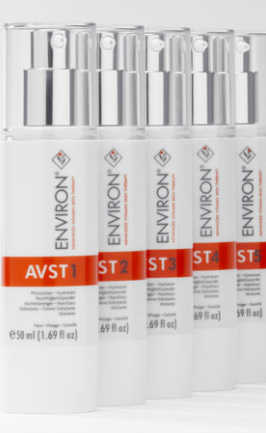 The Environ range of face and body products, for homecare and professional use, have been developed by Dr. Des Fernandes, a respected South African plastic surgeon. His concern about the increasing incidence of skin cancer led him to research the most effective ingredients to protect healthy skin at an early age and to treat the increasing problems associated with photo-damaged skin.Since 1987, Dr Fernandes has stressed the need for daily replacement of a “brigade” of vitamins and anti-oxidants in the skin that are destroyed by exposure to light. He has been one of the pioneers in the use of vitamin A and the anti-oxidant vitamins C, E and beta-carotene – as a means to treat, normalise and protect the skin. Dr Fernandes was the first person in the world to introduce vitamin A in high doses in cosmetic creams. The Environ philosophy is that by protecting our skin from UV rays, pollution, bad diet and stress we can prevent premature ageing and maintain a healthy, beautiful skin for a lifetime. Environ normalises skin, providing skincare to prevent and to treat photo-damage, problem skin, pigmentation and scarring and is suitable for children, men and women. 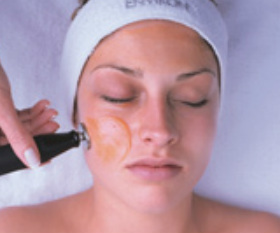 Environ is also used as an effective pre- and post-operative treatment by plastic surgeons for cosmetic surgery patients: the vitamin ingredients promote normal cell growth, optimising the health of the skin and minimising any scarring following surgery. The range of products bridge the gap between modern medical science and beauty therapy, and the inclusion of scientifically proven, active ingredients in high enough concentrations ensures effectiveness. Homecare products are usually prescribed following a consultation with an Environ therapist who will recommend products with the appropriate level of activity to suit each individual. Salon Treatments enhance the penetration of active ingrediants delivering even better results more quickly.